Apple Music is a popular streaming music service developed by Apple Inc. It can not only be played on Apple devices, but also on a Microsoft Windows PC installed with iTunes or on an Android phone with the Apple Music App. However, Apple Music are DRM-protected, for which we have to subscribe and pay the service every month to keep them playable. Is there any way to download and stream Apple Music for offline use so that we can listen to them even if we cancel the subscription? Nothing is impossible. 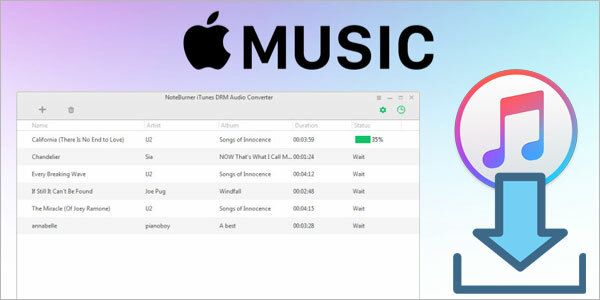 Currently, a well-known solution is to apply Apple Music Converter, which can remove the DRM from Apple Music and convert the DRM-protect songs to DRM-free format. By comparison, here we are going to take the most popular brand – NoteBurner as an example to guide you on how to easily enjoy Apple Music offline step by step. 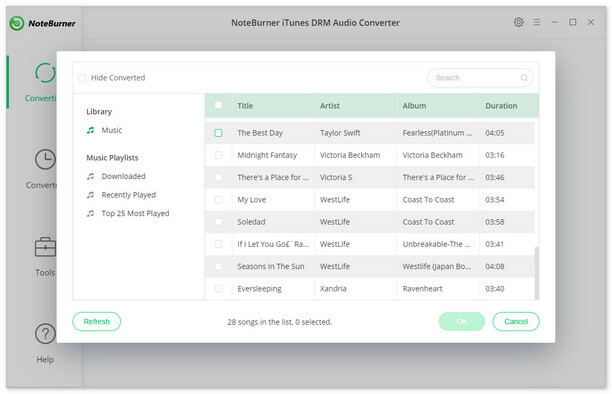 NoteBurner iTunes DRM Audio Converter is a combination of Apple Music Converter, Audiobook Converter and iTunes M4P Converter. Over the years, its' high compatibility with the latest operating systems & iTunes and excellent after-sales service have won great reputation from worldwide users. 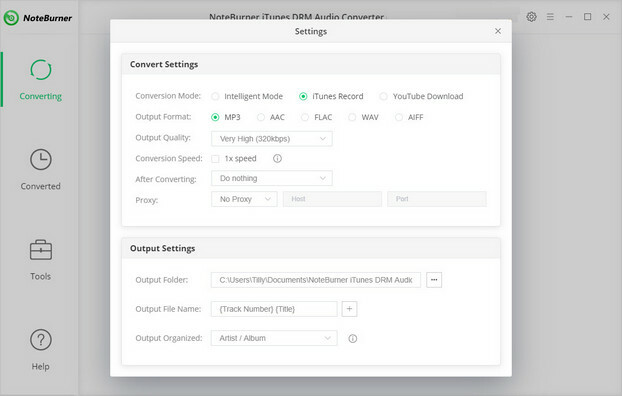 As mentioned above, NoteBurner iTunes DRM Audio Converter supports both Mac OS and Windows, and here we will take Windows system as an example to explain the detalied steps to remove the DRM from Apple Music and download & stream Apple Music for offline use. Before we get started, please download and install the program to your PC first. Launch the program, and you will see a concise interface as below. On the upper right corner, you can click menu >> Language to choose other languages besides English. Click button "+" on the upper left. A pop-up window which will show you all the Apple Music downloaded in your iTunes Library. Choose the Apple Music that you want to convert and then press OK.
Click the gear button on the upper right. Here you can choose Output Path, Output Formats (MP3/AAC/FLAC/WAV), Conversion Speed, etc. Click button "convert", and all the Apple Music you chose in Step 2 will soon be converted to the format you selected in Step 3 and downloaded & streamed to the designated folder in accordance with your output path. When Step 4 is done, click the history button (shaped like a clock) on the upper right. Here you can find all the converted songs. Of course, you can also directly go to the output folder you selected in Step 3 to find the converted Apple Music. Now you can listen to the songs offline free and freely or transfer them to be enjoyed anywhere anytime.